When deciding where to focus marketing efforts through social media, it can be challenging to choose a specific platform. Different mediums provide different advantages and before choosing, its best to understand how your consumers will be interacting with your brand online. 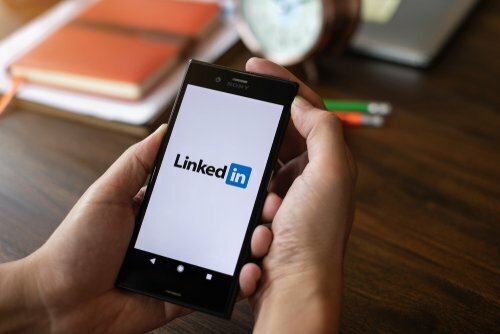 Depending on your industry and where you are as a company or brand, utilizing LinkedIn may yield you positive results regarding more traffic and brand recognition. In this blog, we wanted to highlight some ways to use LinkedIn and grow your brand! When starting out, be sure the company or brands page is well put together. Picture, grammar, proper address and contact info all go into how someone will perceive this page upon viewing it. You don’t want initial traffic to see the site and see it as unprofessional. If you have a company with multiple employees, make each person go in and like the page. Ask your employees to share the page and ask their connections to join! Before you know it more and more people will hopefully be joining your page, increasing visibility across the platform. Another way to grow your network and reach is to join industry groups and pages. As you do this, others in the industry will see and possibly add you as a connection. Don’t be fearful of competition in these groups either! As mentioned before, with LinkedIn being a professional network, people tend to keep it that way! If you have done the following, now you have people to engage with you across LinkedIn. Comment on industry pages about common issues you face or even just agreeing with a light-hearted post. If in the real estate industry, setting up a re-occurring post topic like ‘Mortgage tip Monday’, can keep people checking back into LinkedIn to see if you had posted for the day yet! After a sustained effort, you will notice a following of those commenting on the post, which hopefully leads to people sharing. Taking a political stance- Unless you’re representing a lobbyist firm, taking a political stance is not the best way to grow a LinkedIn presence. This causes people to pick sides and ultimately distract them from your initial and ultimate goal. Also, this can hurt progress made before as those who may have been all about your brand now sees you in a different light. Bad mouthing competition- In person or on social media, its overall just a bad look. This is the professional social media platform. Keep it professional. This also includes grammar within posts and depending on the industry, limit the emojis. Taking hiatus from marketing efforts/ posting/ commenting- As mentioned before this is a sustained approach! With not only competition but those outside your industry constantly posting and commenting, you run the risk of losing traction and brand recognition from the user base. Boston Web Marketing is a full scale, web-based marketing company. We pride ourselves on not only be experts in SEO and staying up to date with Google’s algorithm changes, we also see the importance that social media plays in marketing as well. Our team of SEO and Social Media Management Specialists will work together to grow your brand! If you need help growing your companies’ presence, please don’t hesitate to reach out!